Veronica Mary McCann, nee Brucker, of Hoffman Estates for over 47 years. Born on February 25, 1944 passed away peacefully on October 9, 2014. Beloved wife of Charles E. McCann for over 50 years. Loving mother of Karen (Ronald) Hanik and Brian McCann. Dear daughter of the late John and Margaret Brucker. Cherished sister of Tim Brucker, Jim (Gigi) Brucker, Diane Brucker-Streff and the late Patsy (David) Brucker-Gardanier, Johnny Brucker and Kenny Brucker. 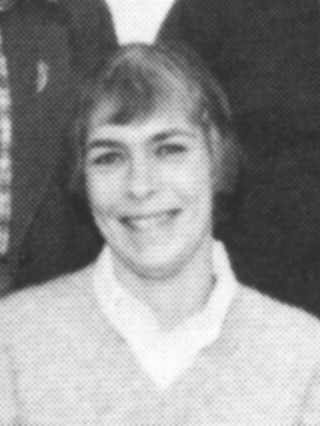 Veronica worked as a secretary for District 211 for over 28 years. She especially enjoyed following her favorite team the Chicago Blackhawks. Visitation 3-8 PM Tuesday at Ahlgrim & Sons Funeral and Cremation Services, 330 W. Golf Road, Schaumburg. Interment Private. Funeral information or online condolences www.ahlgrimfuneral.com or 847-882-5580. Fondest Memories: I’ve met some wonderful people working in District 211 with whom I have become good friends. I will continue to keep in touch with them and will cherish all the good times we have had, both at the schools and at the District Office. I’ve also been very lucky to have had a lot of wonderful bosses throughout my career, and I wouldn’t have traded them for anyone. In fact, I still keep in touch with a few. It makes it so much easier to do your job well when you work with great bosses. Retirement Plans: Right now, I have no long-term plans, but my immediate plan is to go through my closet and toss a lot of clothes that I have been reluctantly keeping over the years, even though some are probably outdated. I also plan to wallow in the facts that I will rarely have to set my alarm clock, will never have to drive in snow to get anywhere (hopefully), and be able to go outside and enjoy all the wonderful glorious days when it is warm and sunny and stay in the house when it is cold and nasty.